So instead of making Valentine's Day all about candy this year I thought I'd try to make it fun. I cut out a bunch of pink and red hearts to decorate my daughters room with and made a heart banner with some construction paper, ribbon and tape. I wrapped up her Valentine's Day gifts and made a little scavenger hunt for her to find them. Since she's only four and she can't read yet I made it a picture hunt on yellow hearts so she doesn't get them confused with the pink and red hearts that are all over the house. I think I learned was that if you're going to be taking pictures of a fast paced scavenger hunt in low light, it's best to put the camera on auto instead of trying to adjust manual settings! So many blurry photos! She had sooo much fun though, I can't wait to do it again next year. the present was in the bathtub! 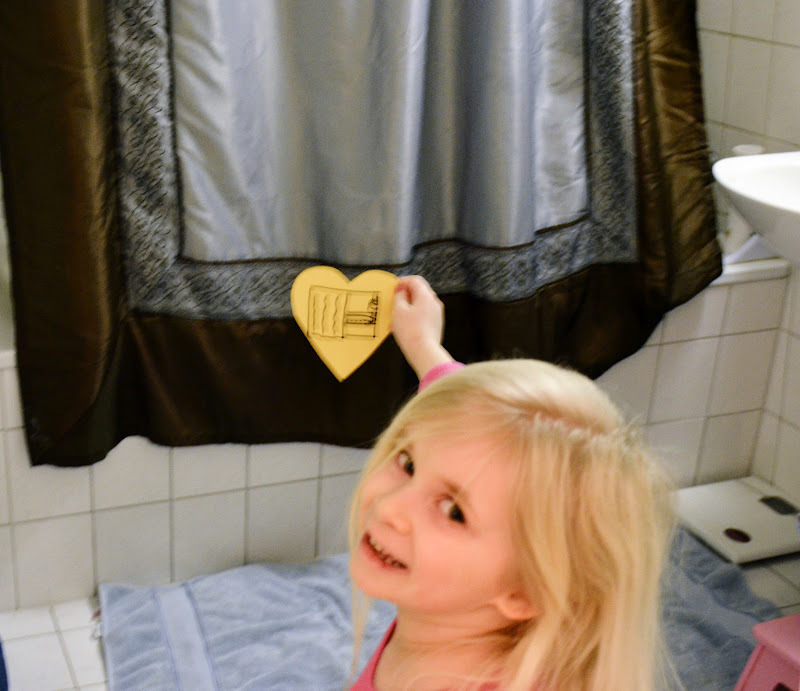 She helped me decorate the house with cut out hearts. 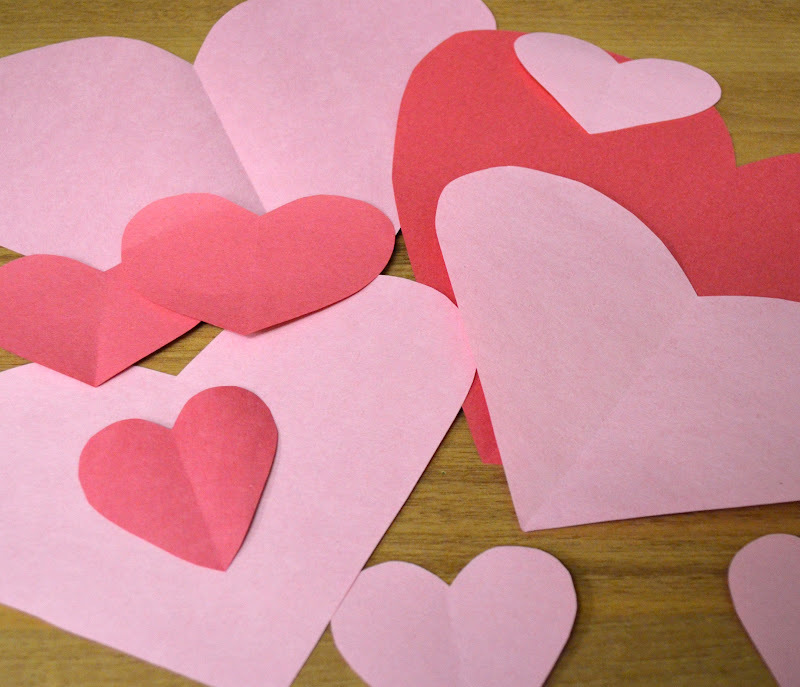 There is something still fun about cutting hearts out of paper.